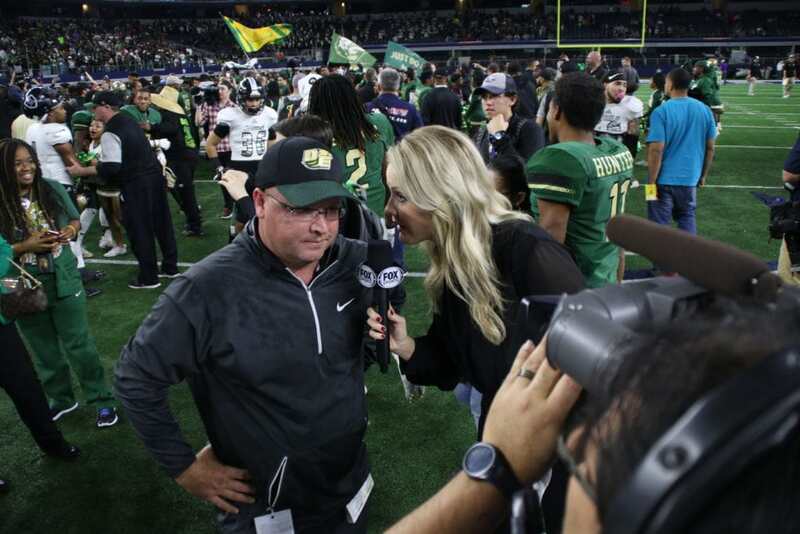 DESOTO—A month after the departure of championship Coach Todd Peterman DeSoto ISD announced the hiring of Michael Robinson. At the February 26, 2018, Regular Board Meeting, the DeSoto ISD Board of Trustees named Michael Robinson as the district’s next head football coach. At press time there was no news of Robinson’s salary or official start date. Robinson most recently served as a campus athletic coordinator and head football coach at North Mesquite High School. He arrived at North Mesquite High School in 2007. 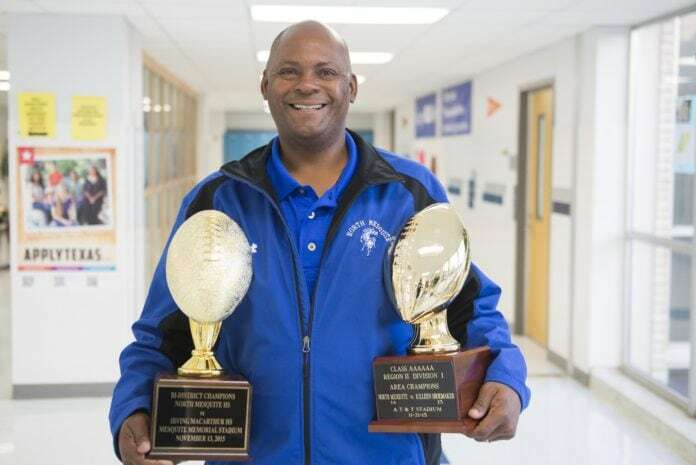 During his tenure at North Mesquite he won the 2015 District 10-6A Co-Coach of the Year Award. In 2006, he spent a year as the campus athletic coordinator and head football coach at Hillcrest High School in North Dallas. From 2000-2005 he was athletic director and head football coach at Wilmer-Hutchins High School. Prior to his head coaching appointments, Robinson served in assistant coach capacities at Lancaster High School, Commerce High School, Denton High School and Gainesville Middle/High School. Robinson is a member of the Texas High School Coaches Association and a trustee of the Texas Sports Medicine Foundation. DeSoto Head Coach Todd Peterman speaks to media after the 2016 State Championship win over Cibolo Steele. After three seasons, a 32-8 record and a state championship title Todd Peterman stepped down as Head Coach. On the afternoon of January 18, Peterman met with Superintendent Dr. David Harris and delivered his letter of resignation. Following Peterman’s decision to step down, DeSoto ISD Superintendent Dr. David C. Harris expressed his thanks and gratitude to Peterman for his service to students and student-athletes in DeSoto ISD during his tenure in the district. Peterman has been with the district for over 9 years. In that time he served as assistant coach, and mathematics teacher. Peterman has been Head Coach and Assistant Athletic Director for the last three years. His resignation is effective at the end of his current contract, which is June 30, 2018.